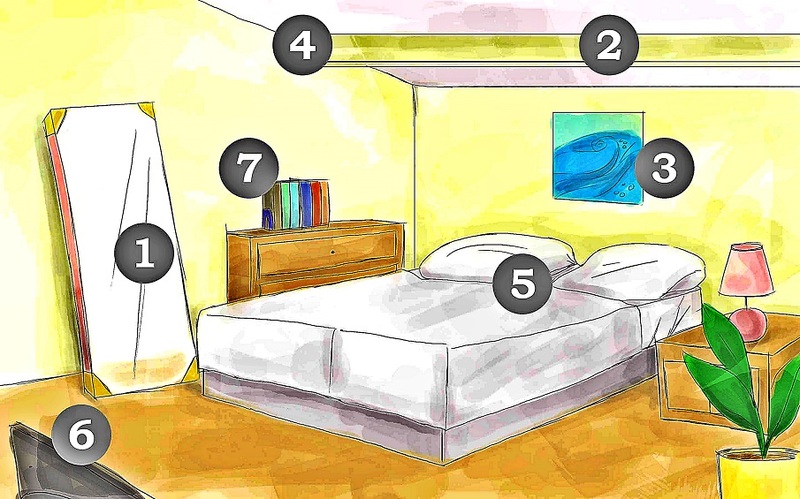 Attract Love Into Your Life With These 7 Feng Shui Bedroom Tips! Feng Shui is the technique of working with chi or the cosmic life force that surrounds us all to boost an environment’s positive energy. It is an Eastern practice intended to create a specific home or work environment that is free of energy blockages or, that directs the cosmic energy in a way that enhances a specific area of a person’s life. People can use Feng Shui to attract love or add spice to their life or romantic relationship. If you want to attract love into your life, here are the 7 Feng shui tips that can help. 1. Limit the number of mirrors in your bedroom, or if possible, get rid of them. Mirrors deflect energy, which may cancel out all of your Feng Shui cures in the bedroom. 2. Create the kind of ambience you want by using aromatherapy. Oils, such as ylang-ylang, jasmine, clary sage, geranium, rose, and cardamom, bring romance and balance into your love life. 3. Ensure that the photos in your bedroom represent your vision of what a loving or balanced relationship looks like. Remove other photos that you think don’t serve your intentions. 4. Place Rose quartz in your bedroom. The relationship corner in your home is found in the far right-hand corner of your place. Because Rose quartz symbolizes pure love, it vibrates at a high frequency and attracts it. 5. Create a space for your partner in your bedroom. Provide an extra space on the bed as well as space in your closet so that they would find themselves cozy in your home. 6. De-clutter your bedroom from technological devices that drain your energy and steal your attention. Transfer them into another place because these things are energy blockers. This change will make your bedroom feel calm and relaxing as well as the relationship corner. 7. Remove objects that take up space physically and energetically on and around your bed. These include extra furniture, extra pillows or stuffed animals on your bed. Having extra space means you are welcoming another person in your life. By following these Feng Shui tips, you are creating the energetic foundation that welcomes a healthy and harmonious relationship into your life. On the other hand, do not forget to tend your emotional, mental, physical, and spiritual well-being so that you are ready when your ideal relationship comes. Becoming the the best version of yourself complements well with all your Feng Shui boosts.